TATWEER Petroleum, a joint venture of Bahrain’s Bapco, Occidental Petroleum and Mubadala, has in its five years of operation succeeded in increasing the kingdom’s hydrocarbon production by 50 per cent and black oil output by over 60 per cent. 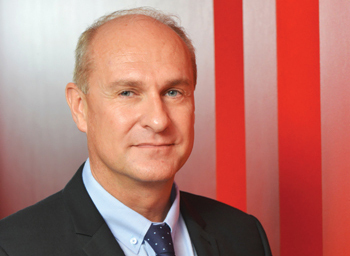 In fact, crude oil and condensate production levels have been increased back to levels not seen since over 35 years ago, says Tatweer Petroleum CEO Andrew H Kershaw in an exclusive interview with OGN. A total of over $3.5 billion has been invested by Tatweer since it began operations to redevelop the Bahrain mature field, he says. In 2014, the company’s Supply Chain Management department processed well over 1,600 commitments totalling around $350 million, says Kershaw. 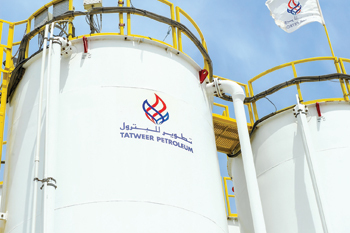 Tatweer Petroleum’s 2015 plans are additionally focused on optimising the ongoing enhanced oil recovery pilot projects. 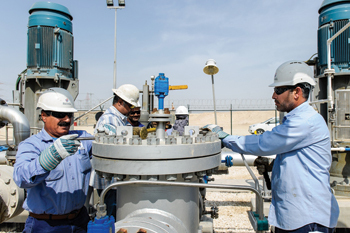 These pilots include steam injection, water flooding as well as new artificial lifting techniques that have all shown potential to extract the more difficult oil from the Bahrain field. “We view our company as becoming a leader in the development of mature fields in the region,” he says. What were Tatweer’s significant achievements in 2014? The first of December 2014 marked the fifth anniversary of Tatweer Petroleum’s operations in the Bahrain Field and in June of that year the new Tatweer Headquarters completed its construction on schedule. Over 450 technical and support staff were relocated from several different locations into the new building. This has been an immense success and has allowed much more efficient work practices and increased interaction of the various teams as well as providing comfortable workspaces. We also now have 13 pilot production projects that are operational in the various different reservoirs. These pilot projects are testing the viability of potential new oil recovery mechanisms, including steam, waterflooding and high volume lift. Potentially, these could provide increased production from the difficult oil that remains trapped in the mature reservoirs here in Bahrain. After over five years of operation how much have you been able to improve production at the Bahrain Field? After nearly 80 years of production, the Bahrain Field had been perceived as a declining field and nearing the end of its productive life. Since the start of Tatweer Petroleum’s operations five years ago total hydrocarbons being produced has increased over 50 per cent and production of black oil has now risen by over 60 per cent. In fact crude oil and condensate production levels have been increased back to levels not seen since over 35 years ago. Have you achieved your 2014 output target? What were the factors that contributed towards the achievement? • Fully automating well testing at the 15 new well manifolds. What was the total annual committed spent in 2014? How many new contracts were awarded? A total of over $3.5 billion has been invested by Tatweer since it began operations to redevelop the Bahrain mature field. In 2014, the company’s Supply Chain Management department processed well over 1,600 commitments totalling around $350 million. What are the targets set by Tatweer for 2015? Improving cost efficiencies and continuing to meet the Kingdom’s oil and gas targets are a given. Tatweer Petroleum’s 2015 plans are additionally focused on optimising the ongoing enhanced oil recovery (EOR) pilot projects. These pilots include steam injection, water flooding as well as new artificial lifting techniques that have all shown potential to extract the more difficult oil from the Bahrain field. We view our company as becoming a leader in the development of mature fields in the region. How many more wells will be drilled during 2015? What is the total number of wells drilled till end-2014? The total number of wells drilled by Tatweer from inception to date is over 783 which is an impressive average of 150 wells per year compared to the previous average of 10 per year. In order to focus its effort on the pilot projects drilling operations will be reduced in 2015. However, over 60 new wells are still planned to be drilled this year – which is still a big number. What was the black oil production exit rate, the average oil production rate average and the average availability of non-associated gas in 2014? Black oil production exit rate at the end of 2014 was 45,400 bpd and averaged 44,000 bpd for the year. Non-associated gas deliverability averaged 2.3 billion standard cubic feet per day for the year. The Bahrain field is a complex field in terms of both geology and production. The field consists of 16 stacked reservoirs of different descriptions that are communicating through faults making it difficult to track fluid cross flow and migration. Our numerical models help our engineers track fluid movement to select the optimum well locations. In addition to that, the Bahrain field reservoirs are mainly carbonates which tend to be more heterogeneous and not EOR-friendly. Monitoring, modelling and continually adjusting our pilots to understand the reservoirs’ response to the pilot EOR schemes as well as a significant amount of time and technology are the keys to unlocking the potential of the Bahrain field. What were the new construction projects undertaken during 2014? How have progressive cavity pumps (PCPs) aided in maximizing performance from Rubble Heavy Oil Steam project? The progressive cavity pumps enable us to reduce the bottom hole pressure of wells in high water cut areas in the Rubble reservoir. This allows the steam to work at its optimum level to heat the matrix rock and the large volume of oil contained in its pores. In addition, with the increased drawdown it allows the heat to propagate effectively from injectors to producers to increase the heat in the rock as well as drawing in the hot-oil towards the pump intakes. Could you tell us how high volumes are lifted from Mauddud and Nahr Umr? Can this technology (HVL) be used in other areas of the Bahrain Field? Tatweer has pilot tested high volume lifting (HVL) systems in the Mauddud and Nahr Umr Reservoirs in 2014 through the “reverse” gas lifting technique as well as electrical submersible pumps (ESP). The HVL systems within Mauddud and Nahr Umr Reservoirs are now being effectively applied in other regions of the reservoirs with natural water influx and provide a drag-oil effect that also encourages oil out of the rock pores. Other deeper zones like the Arab formations may be tested with ESPs in the near future. 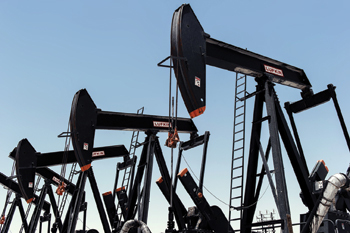 How have Beam Pumping Units helped in making wells produce efficiently? Beam pumping is one of several artificial lifting techniques used by Tatweer Petroleum to lift low pressure wells in the Bahrain field. One of the problems we faced when we took over upstream field operations was the choked handling capacity of associated gas. To reduce associated gas production, we initially emb arked on converting many of the gas lift wells in the field to beam pumping and then started installing beam pumps in the newly drilled shallow formation wells. From around 60 units in 2010, by the end of 2014 the total number of beam pumps installations exceeded 600 units. Other artificial lift techniques introduced by Tatweer Petroleum in the Bahrain field include plunger lift, electrical submersible pump (ESP), progressive cavity pump (PCP) as well as adding to the original gas lift systems. Tatweer continues to seek out and introduce new and different techniques in different wells to improve the wells productivity and increase oil production and operating efficiencies. What other new technologies have you employed in 2014 the improve production at the Bahrain Field? Another technique we are piloting in the Bahrain Field is the Forced Imbibition steam concept for heavy oil recovery in one our fractured carbonate reservoirs. It consists of multiple horizontal wells and simultaneously injecting high volumes of steam above the rock fracture pressure. The steam then penetrates the fractured matrix block and the rock literally “drinks” the steam. The viscosity of the heavy oil trapped in the matrix block can then flow into the fractures eventually reaching the wellbore where it can be pumped out. Early results from this technique appear highly promising and so we’re all quite excited about the future for this project.